← 7th Heaven! Lose-ongo!! No Doubting Thomas!!!!!!! STANLEY CUP PUNS!!!!!!!!!! Well, the season is over, the riot is over, and any respect I had, which was very little if any, for Max Lapierre and Alex Burrows is forever gone. 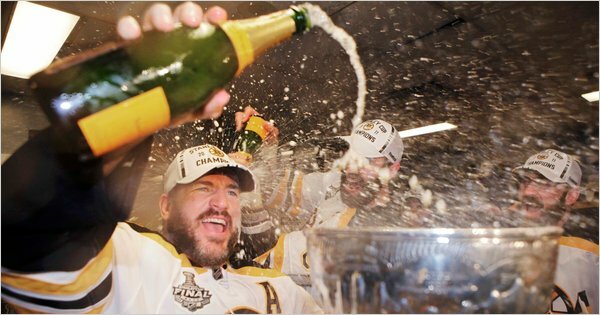 The only thing worse than an old school team like Boston losing to Vancouver would be the very thought of jerks like them having their names on the Stanley Cup. Unacceptable!! I like to think that it is because of players like these that teams who have every odds maker believing in them lose.You see, odds makers use stats and numbers,not heart, determination, and respect to calculate who should win. Who could cheer for Van. 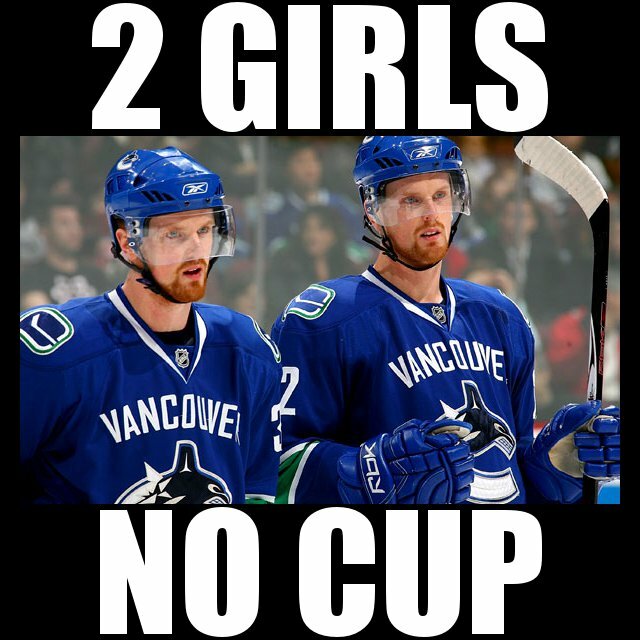 after watching the childish, YES CHILDISH, antics of not only those two clowns but also the Sedin sisters. Thankfully, our great game was not reduced to the embarrassing level of a soccer match dive fest.I’m not a big fan of the NHL’s officiating as my previous posts will attest,but they at least let ’em play for the most part, although they had to try to even it up in the 3rd of game seven by throwing a couple of phantom penalties at the Bruins. It seemed to me that they were sending a strong message that you gotta man up and show some balls if you want the cup,and good on them. I suppose every one will blame the team, but you gotta look at management that wasn’t savvy enough to realize that players like that will ruin any team’s chances by epitomizing how not to play, while undermining the good intentions of your classy players. Looks good on ’em.